It’s that time of the year… the introduction of our new line! I’m really excited to share all of the great new products and changes we’ve been working on. We have a great team that forms our Product Development Committee (PDC) and they have been working very hard this past year on many new products, while also enhancing several of our existing products. 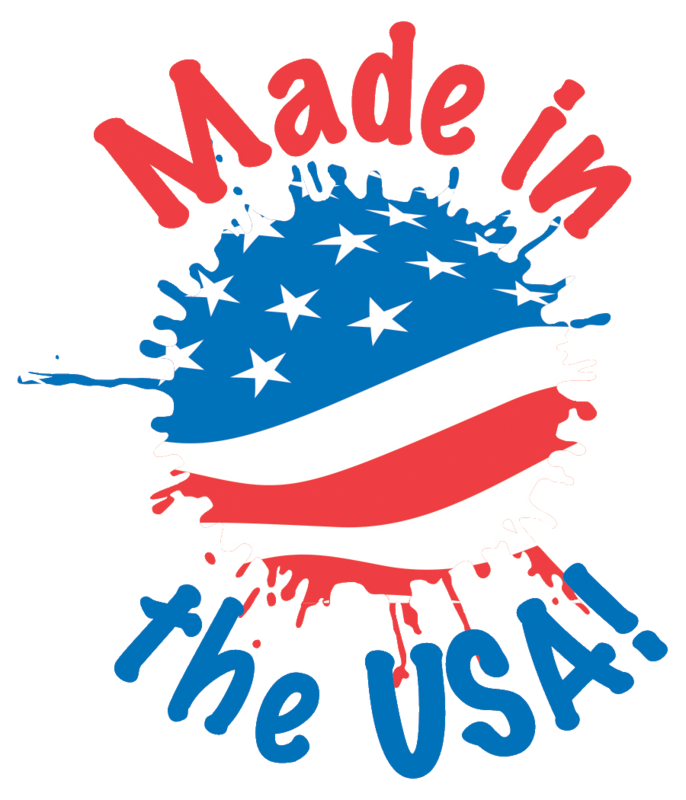 This year, we are very proud to showcase the many products in our line that are Made in the USA. At Original Works, we strive to ensure that the majority of our product line carries the Made in the USA designation. Did you know that all final product assembly/finishing is performed in our production facilities that are located in upstate NY? Each year we review the feedback from our customers, and take that into careful consideration when making decisions for the following year. That being said, we think that you will be as excited as we are with all of the changes we have this year. 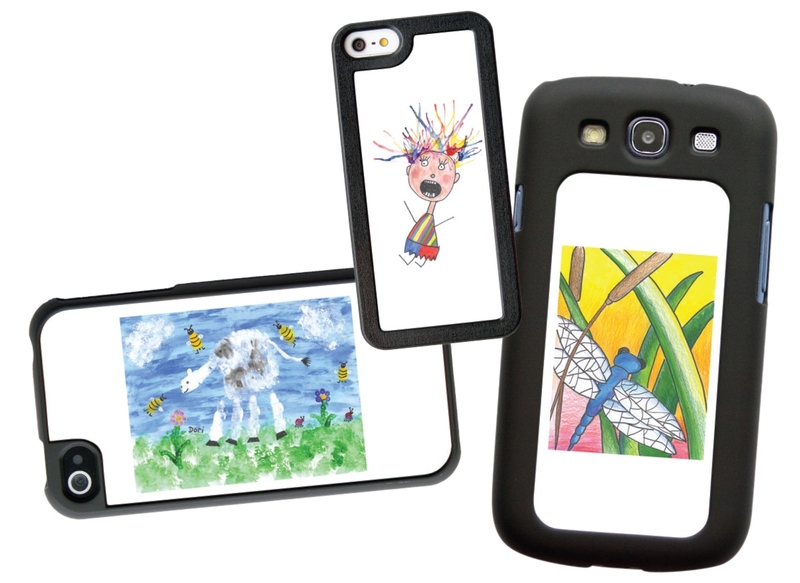 I’ll start with a change that we’ve made to our cell phone covers. We have redesigned the layout of the artwork, and it will now be printed as a large single image rather than a tiled image as we did in the past. 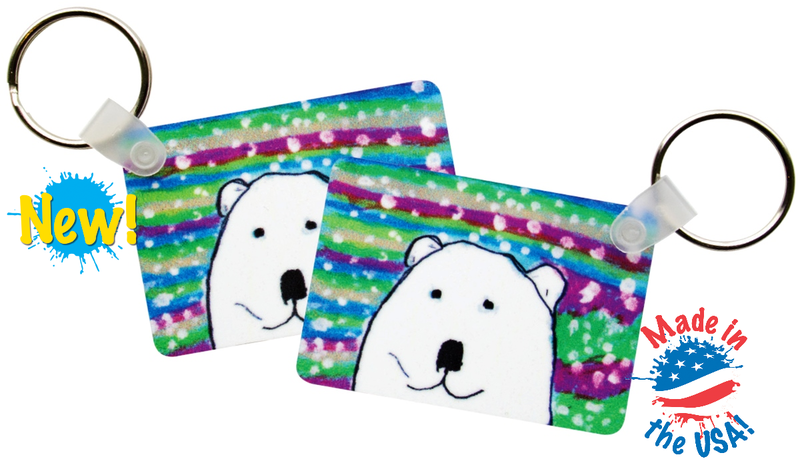 Other products that we have given a new look to include our Keychain Set. This new keychain set has the artwork sublimation printed edge-to-edge on both the front and back. 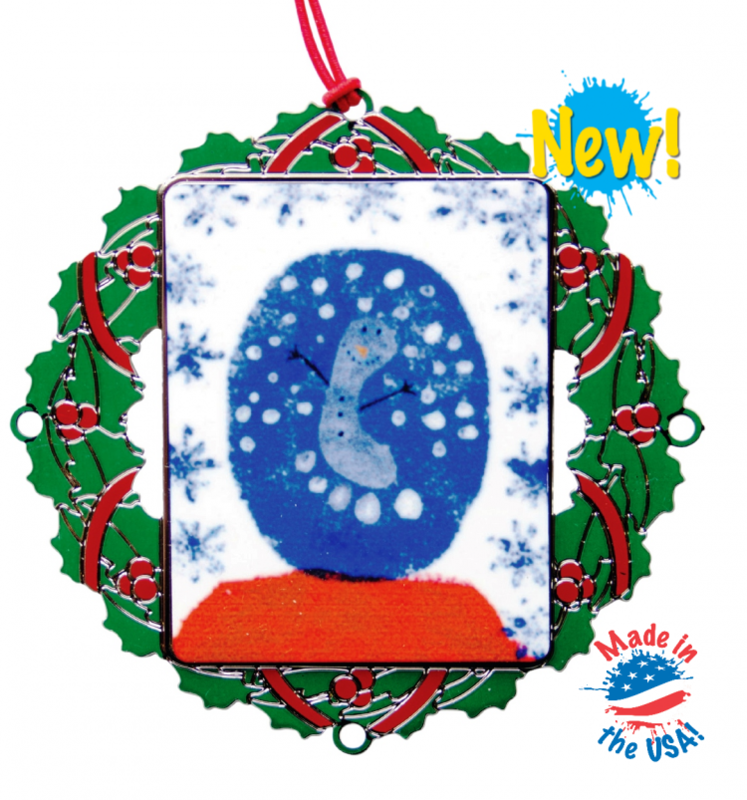 These new aluminum keychains are lightweight yet durable and are made in the USA. 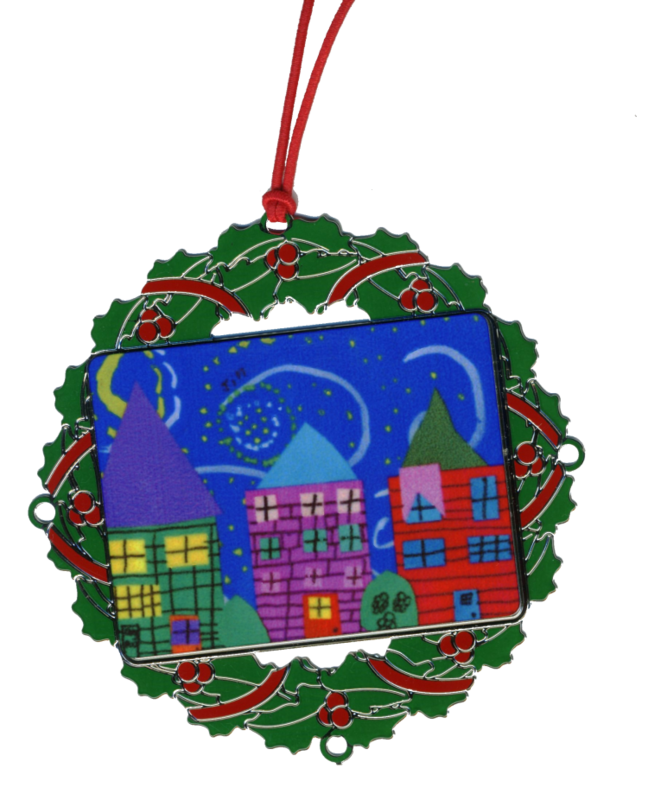 Next is our Decorative Ornament. Designed exclusively for Original Works, our custom wreath ornament, is produced in brass and silk-screened in green and red. This new design prominently displays the artwork in the center. Ornaments are packaged in a festive gift card and include a red string for hanging. There’s more! As we are celebrating our 25th Anniversary this year, we wanted to make sure we had the best product line yet. 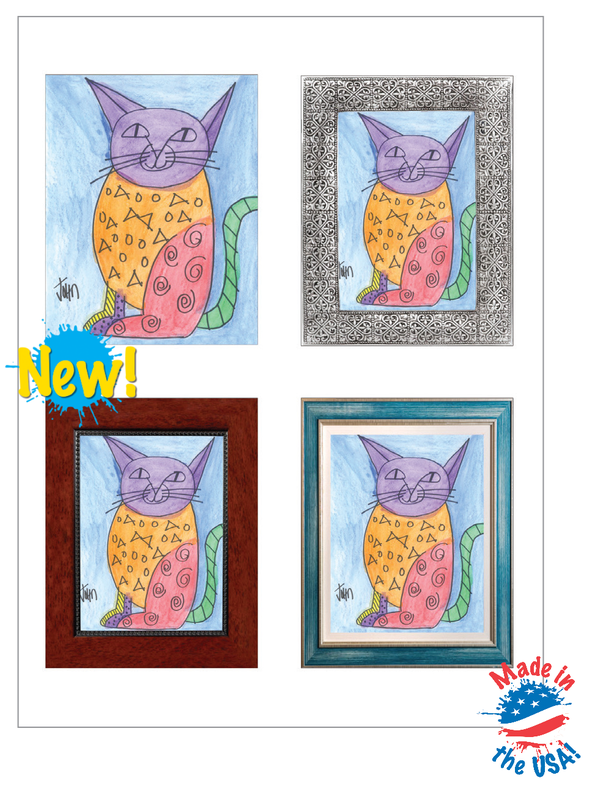 We have 5 brand new products that we are introducing this season! 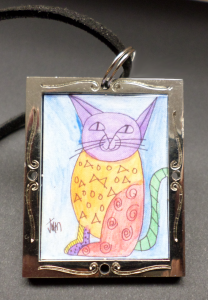 I’ll start with our new Magnetic Jewelry Pendant. 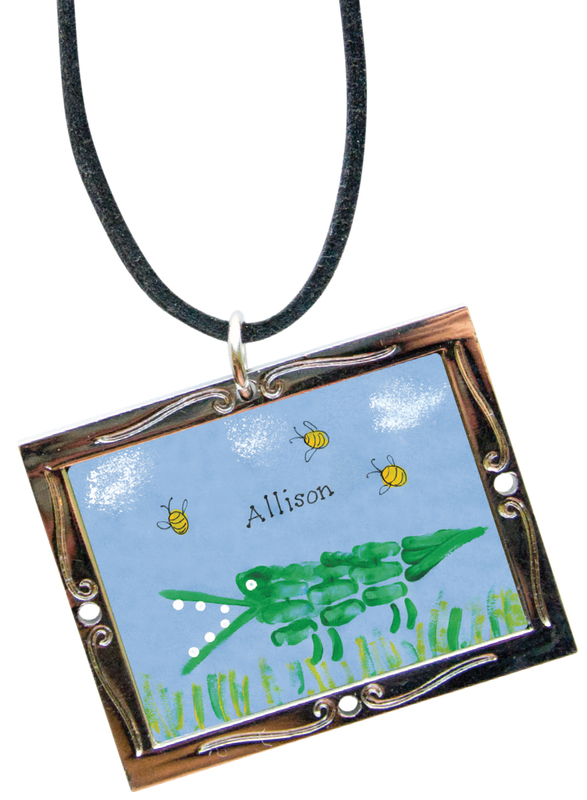 This features a custom magnet that fits securely inside the solid metal frame. 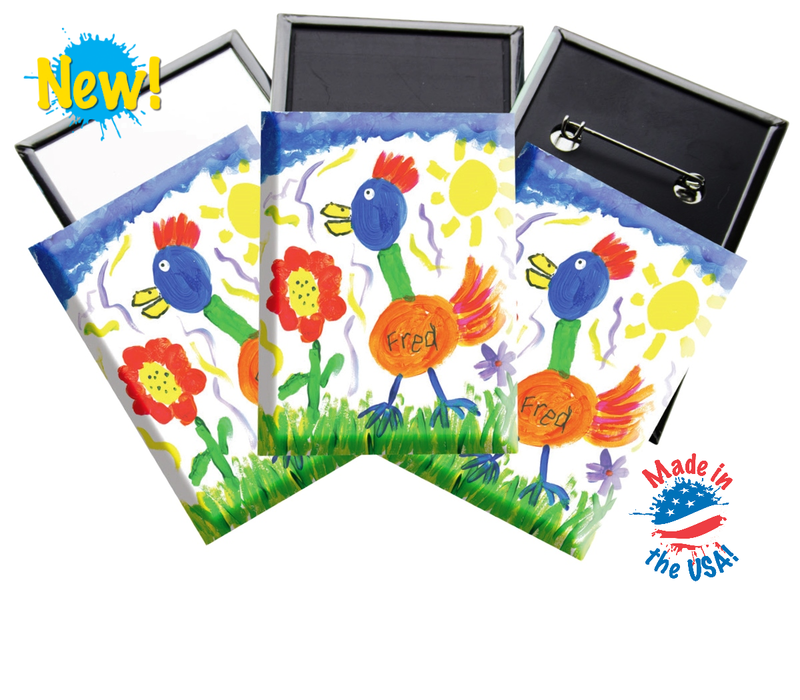 It includes black fabric cording with a 3” metal extender and attractive acrylic case. 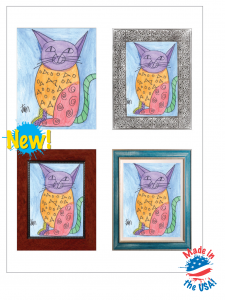 Also included are 4 interchangeable magnets with framed versions of the artwork, allowing you to update your look and still showcase the artwork. 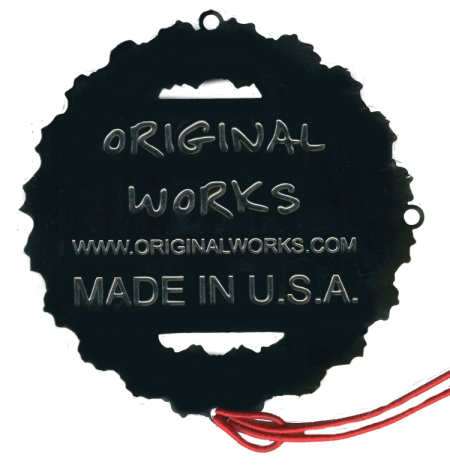 The pendant is another product that has been designed exclusively for Original Works. Along with the pendant, we are also introducing a Pendant Magnet Set. This is prefect for anyone needing an additional set of pendant magnets featuring a different image. 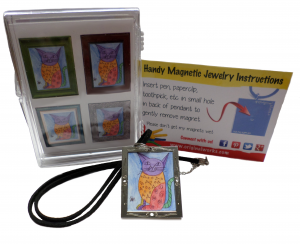 The set will include 4 interchangeable magnets for our Magnetic Jewelry Pendant, each with a distinct design. Our new Fabric Coasters, will now be offered in addition to our Wooden Coasters. 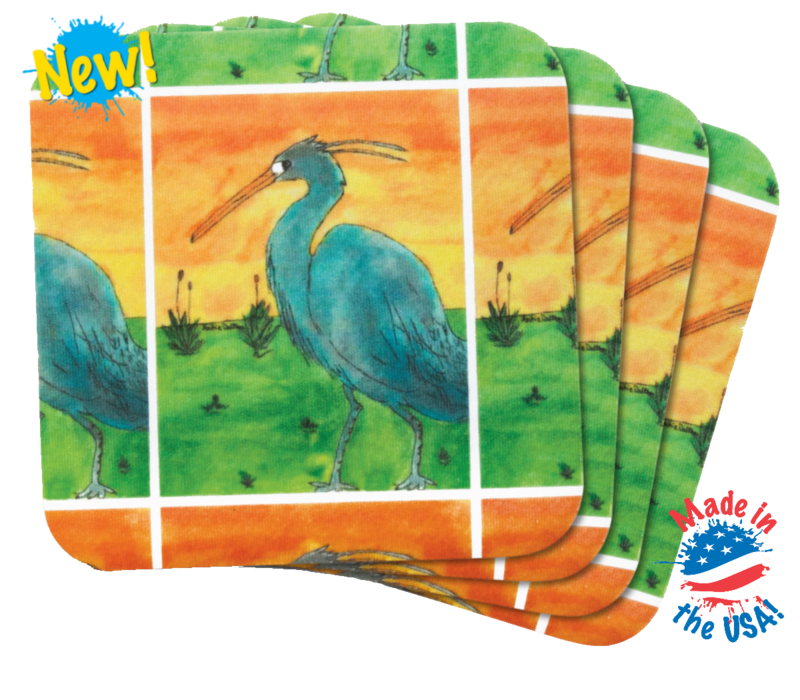 Our Fabric Coasters are functional, economical and great looking! The artwork is printed in the center and is framed by segments of the same image, creating a unique look. Our new Purse Mirror, is perfect for checking your look on the go. 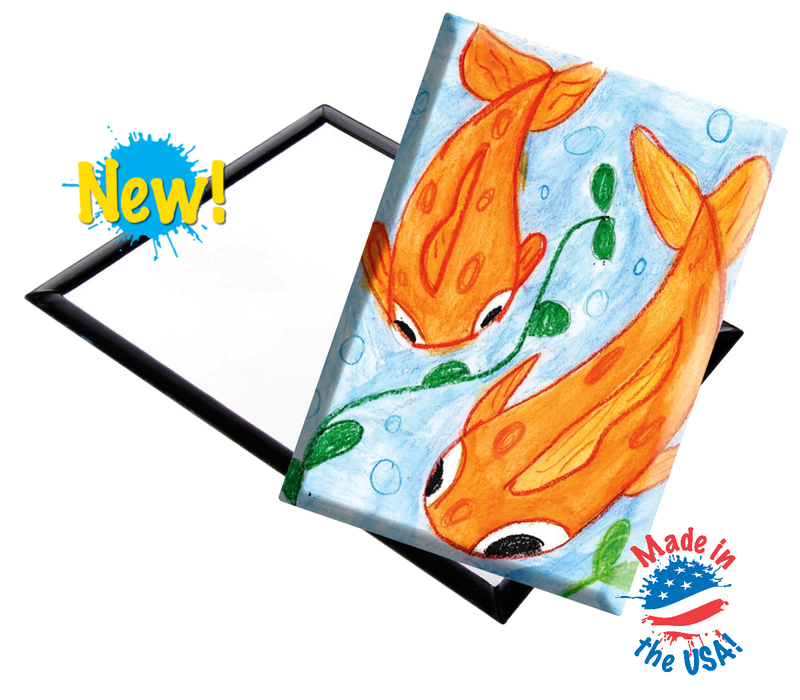 Artwork is displayed on one side with a small 2” x 3” mirror on the reverse. I love this product and find myself using it often – keeping one in my bag and one on my desk. Finally, our new Wherever Package allows you to showcase your artwork on three unique products. This package includes the Purse Mirror, as well as a Magnet & Pin. All three feature the same image. For more information on our fall programs, products and pricing e-mail or call us (800-421-0020)today. Ready to schedule your dates? Just click here and sign-up now.